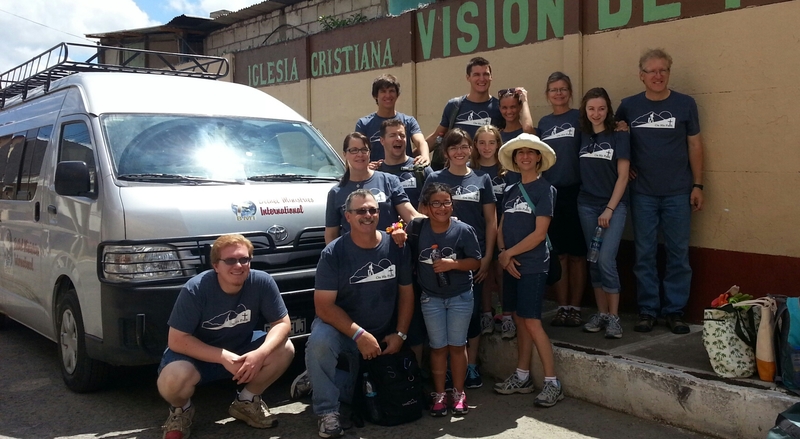 July 16 – 23 2014 we had the wonderful opportunity to return to Guatemala on a mission trip. This was a reflection to my first-ever mission trip, in 2011. This my 4th, but extra special. My family (wife Annette & daughter Taylor) travelled to serve with Bethel alongside John Mitchell and his family and Christy Reist and her daughters. John & Jean Mitchell are the founders of On His Path (www.onhispath.com) which partners with Mission: Mobility. It was great to return with good friends to revisit many of the places and projects we experienced in 2011. For the Mitchells, it was extra special, their 7 year old daughter joined us. She was adopted from Guatemala when she was a little over 1 year old. This was her fist trip back. One special memory and experience on this trip was during our second home build day. 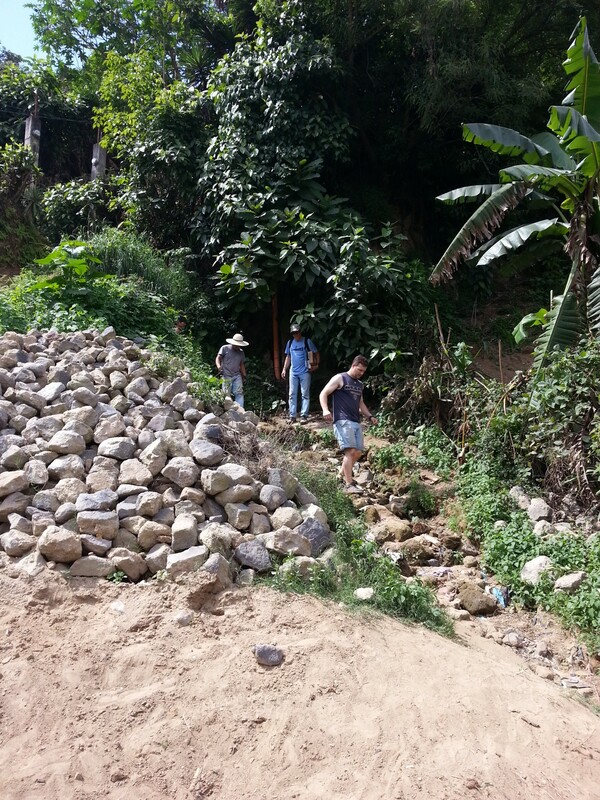 We arrived at a hillside and saw the “goat path” trail that led up a steep hill with our building site at the top. This trail reminded us of Matthew 7:14. 14 But the pathway to life is very narrow and the road is difficult, and only a few ever find it. This home was for a widowed mother (Stella) and her 3 children. Also at this home site were Stella’s parents in a small home. We proceeded to carry all the building materials up the steep grade to the top. It took many, many trips. The elevation and the grade both made for an exhausting start of the day. Ironically, I had to chuckle, because I had emailed Brad (Louisville) that morning saying it should be a light day with only 1 house build on the schedule. Boy was I wrong! Eventually we got it all to the top. I was preparing to carry my last load of several sheets of tin. I was taking a minute to catch my breath before climbing. I had 5 sheets of tin on my back. Then I heard an old man talking to me in Spanish. He was grabbing for a few sheets of my tin. I figured it was a local wanting to help out to make a few Quetzales. I was looking down when he spoke. The first thing I saw were his feet. Noe was the father of Stella. He was so excited to help with the new home for his widowed daughter. He was probably 65, looking 85 from the hard life he had led. His feet truly told the story. The project progressed quickly. Grandpa, as we referred to him, was so excited and happy to help in any way possible. At one point John gave him a pair of gloves. He accepted the gift happily. But it was almost comical. He had absolutely NO idea how to put the gloves on. We realized he probably had NEVER owned a pair of gloves. WOW! Once he had them on, he looked like he had won the lottery! I recall throughout the work, I kept looking at his feet. 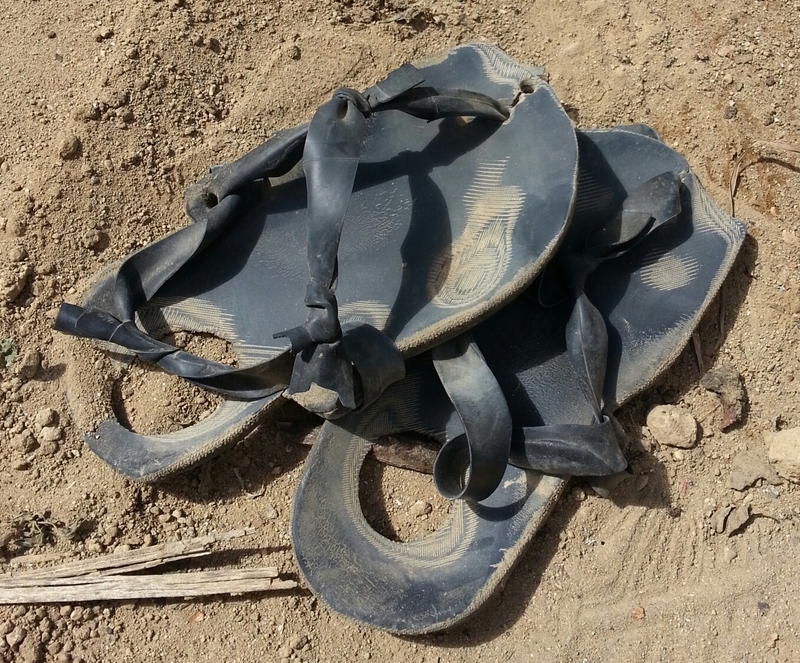 They were so weathered, in his makeshift flip flops. The shoes were several sizes too small for his feet. We broke for lunch. Ham sandwiches, chips and my favorite Guatemalan cookies…CHIKYS! (love those things!) After lunch, I wanted a photo op with Grandpa. We stood by the woodpile. A great backdrop. 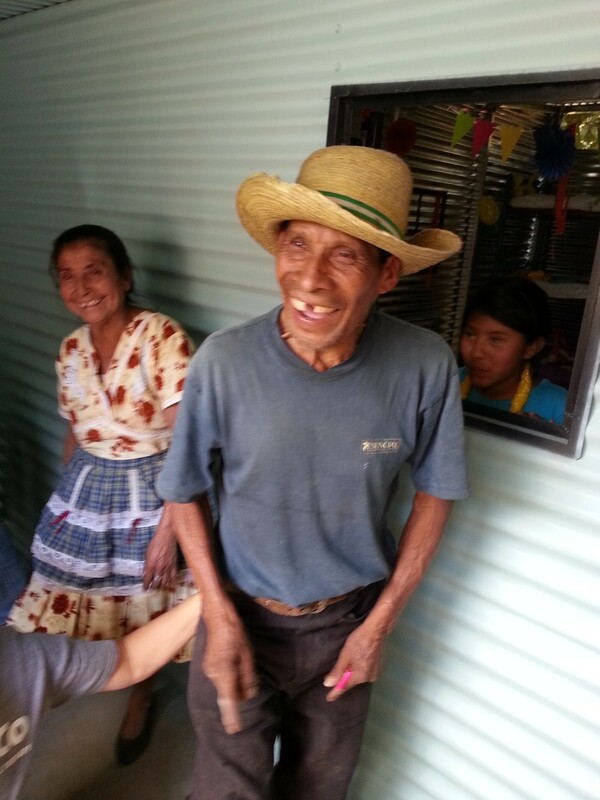 In typical Guatemalan fashion, Grandpa WOULD NOT SMILE. I had my arm around him for additional pics. So as Annette took another photo, I tickled his ribs. He busted out laughing! I can probably guarantee you Abuelo had never had an American tickle him! 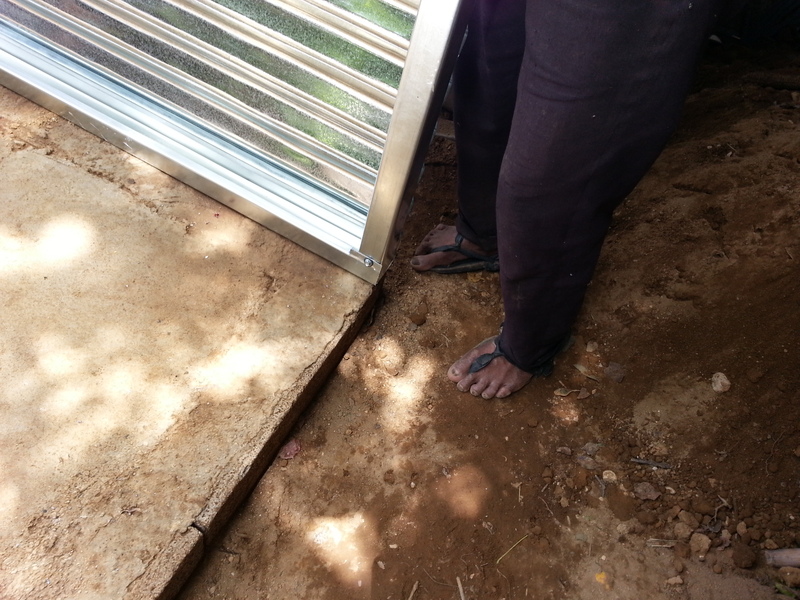 The project wrapped up, we dedicated the new home and prayed for the family, and we were preparing to leave. 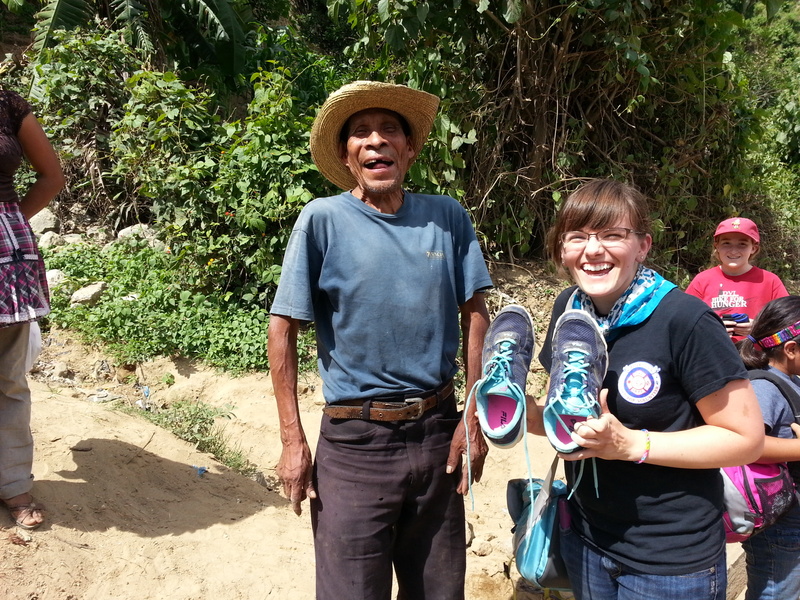 Prior to the trip, Taylor had bought a new pair of tennis shoes for the trip, with the intent of giving them away to someone. With this being near the end of the trip, Taylor had resigned herself to the fact that she was probably not going to find a girl who could fit into her size 9’s. God then laid it on us to get Grandpa some shoes. 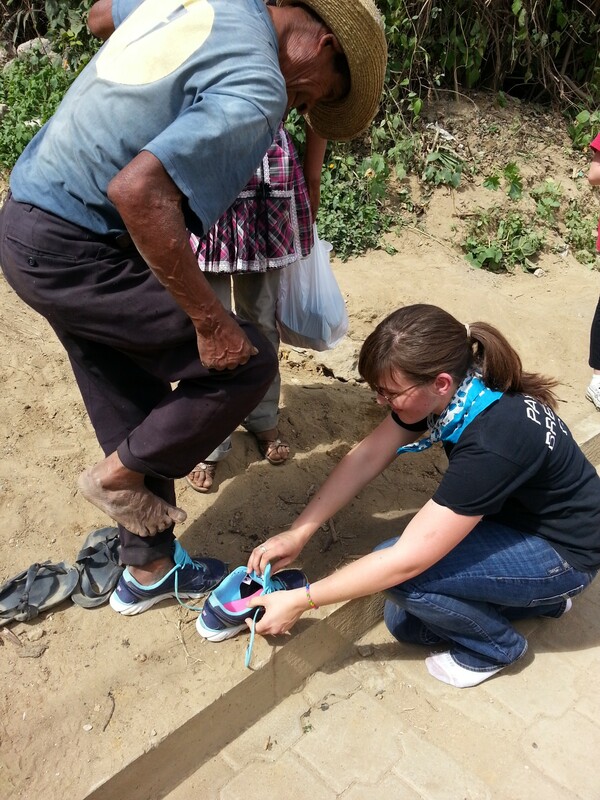 But realizing that through the week we had given out all the shoes we had brought. Guess which team member’s shoes were the perfect fit……Taylor! The look on Grandpa’s face was priceless when he tried them on and they fit, perfectly! 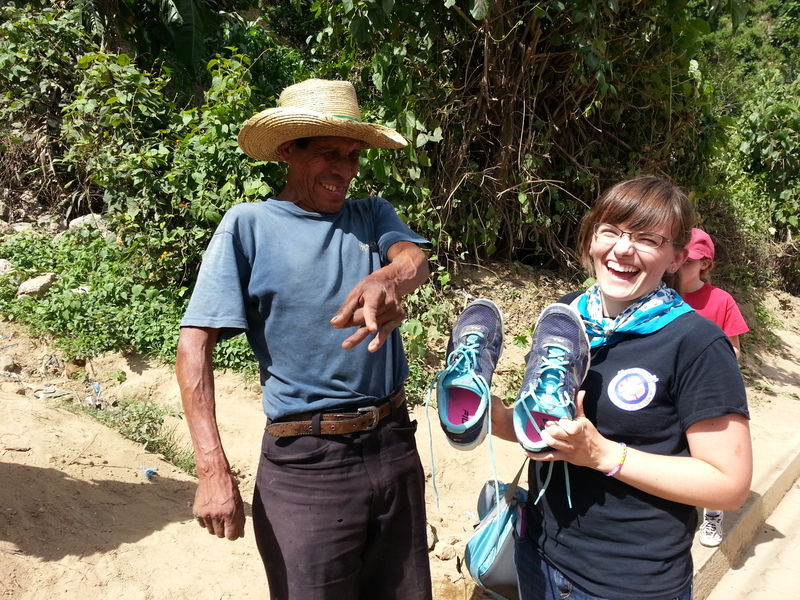 We then had Chis explain to Abuelo Noe that if he would follow us down the trail to the van, we would give him the shoes and Taylor would return to the hotel barefoot. He was happy to oblige. It was extremely touching to watch as Taylor removed her bright blue FILA shoes off her feet and stood in her socks on the road as she fit Grandpa with his new shoes. It was a beautiful gesture that I will never forget! It reminded me of the humble act of the washing of feet in the Bible!! John examined the old shoes. They were homemade. The soles were from an old pair of tennis shoes and the strap part of the flip-flops were made from car innertubes! Note in the photo, the heels of the shoes. Or lack thereof! There was a hole in both shoes that a golf ball could pass through! When asked, Grandpa said he had worn these shoes for 10 years! What a selfless guy. 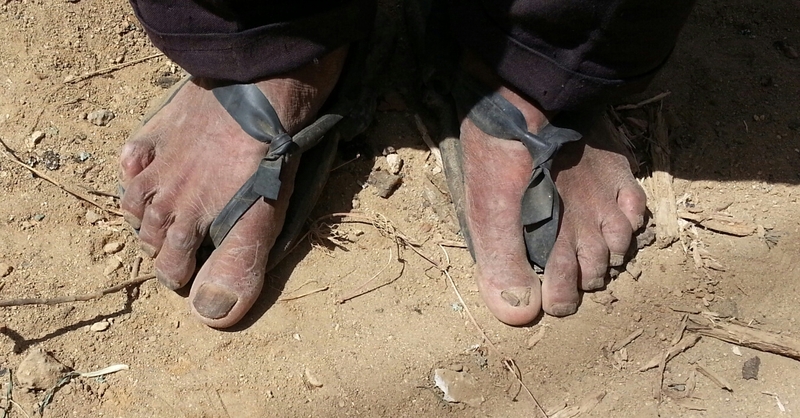 When he needed new shoes, he opted to just keep his old ones and use the money for food for the family! Photo time. 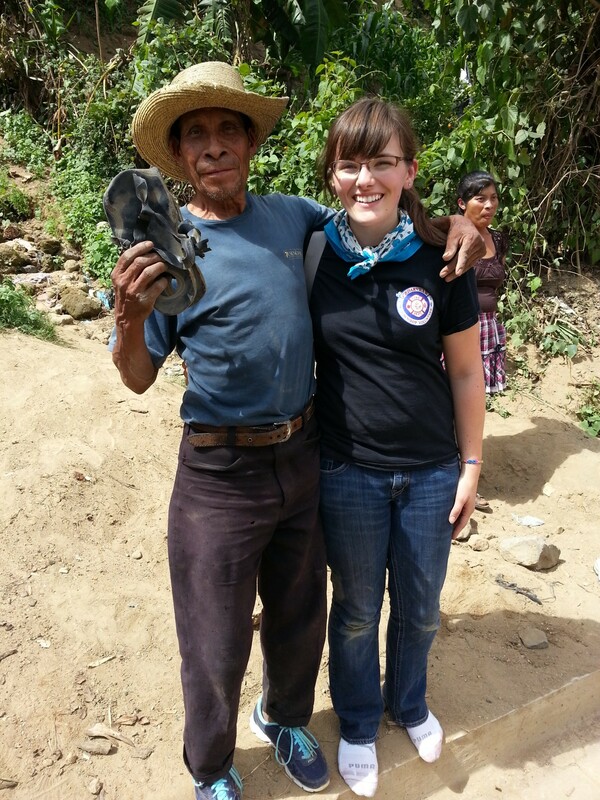 Just before leaving we had Taylor and Abuelo Noe stand together with the new and old shoes and the sock feet. 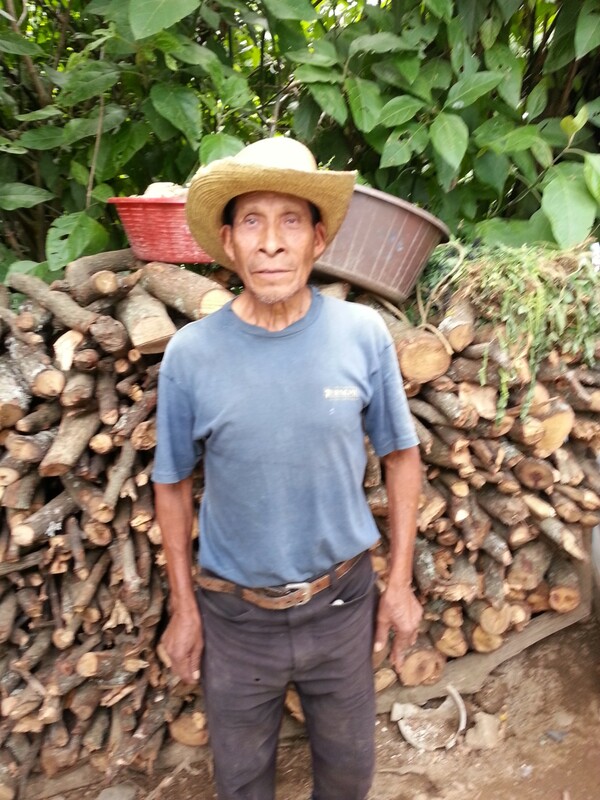 Again, in true Guatemalan fashion……stone faced….no smile! I lowered my camera and said (in ENGLISH) “Grandpa, you better smile or I am going to tickle you again”. I guarantee you he understood what I was saying based on his reaction! What a day. 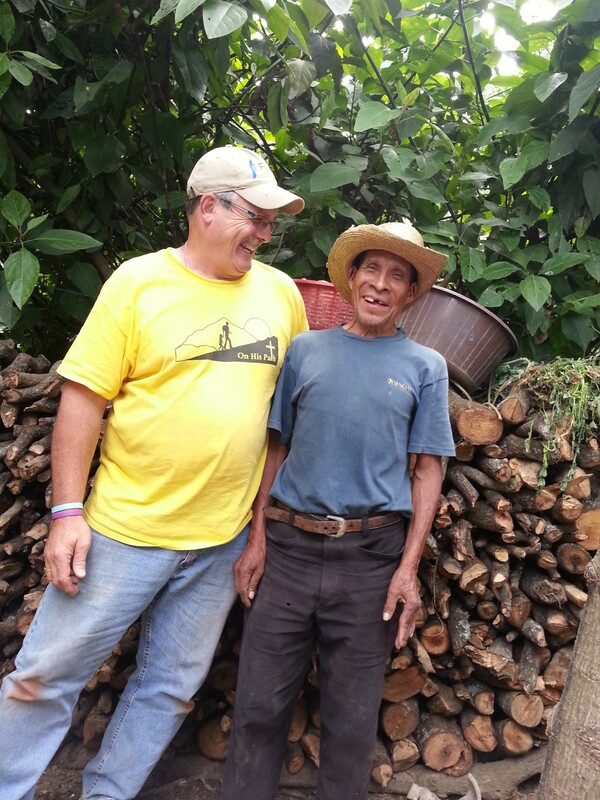 I just love working with the people of Guatemala! This entry was posted in Uncategorized on July 26, 2014 by rfultonmission.